Artificial neural networks have come to stay and are already proving efficient for data-intensive industries. 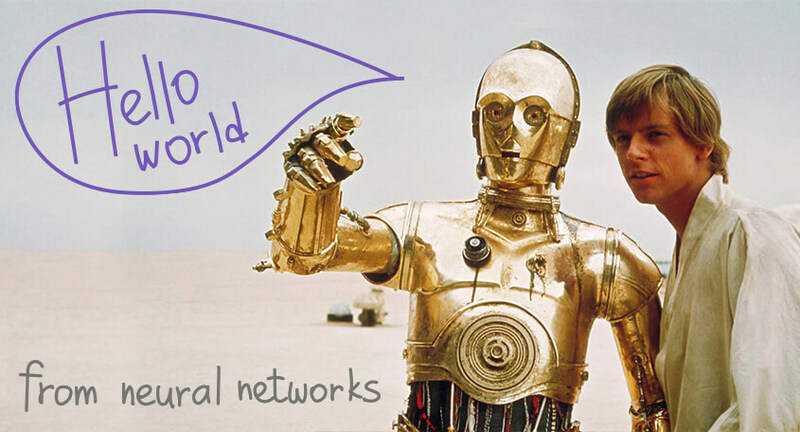 A blog post about Neural Machine Translation. This article is the first in a series we'll be posting, exploring the topic of machine translation. Powering the SmartCAT ecosystem with flexible third-party integration capabilities, we’re preparing to enter the Convergence era, in line with the insightful outlook* Jaap van der Meer presented on TAUS in 2013. Not just evolve with the industry but take the lead in this process, that’s what we’re up to. *Read Jaap’s article on TAUS here. 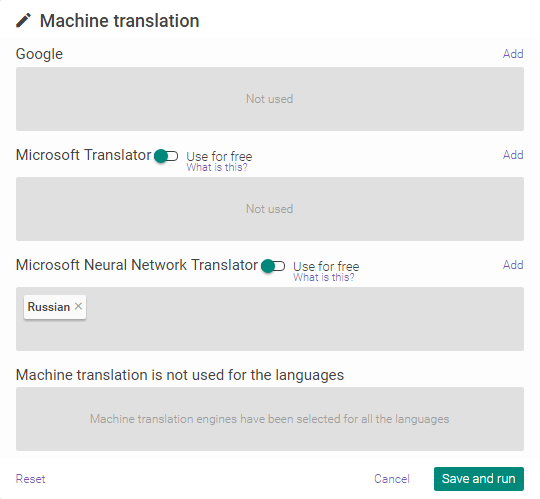 In November last year, Google and Microsoft announced they have updated their translation engines with Neural Machine Translation (NMT) systems. Both companies celebrated a significant boost in the quality of translation output, with Google going as far as to claim that the improvement outweighs all the efforts made in the last ten years combined. Microsoft, in turn, set up a demo page showing the dramatic progress in accuracy and fluency the NMT technology offers compared to the previous one, SMT (Statistical Machine Translation). Though both Google and Microsoft currently support only a dozen of the most popular languages, the companies made it clear a major milestone has been reached and they’re looking to work on developing the technology and adding more languages. Artificial neural networks have come to stay and are already proving efficient for data-intensive industries. It won’t be long before this technology becomes commonplace, and, for the wider public, the announcement of NMT served as an introduction. “Artificial neural networks (NN for short) are practical, elegant, and mathematically fascinating models for machine learning. They are inspired by the central nervous systems of humans and animals — smaller processing units (neurons) are connected together to form a complex network that is capable of learning and adapting,” explains Dr. Marek Rei, Researcher in University of Cambridge. GNMT proves to be accurate at handling this translation of Wikipedia definition from English into French. Even though a higher quality and more human-sounding output is apparent for some language pairs, we’re now witnessing the early days of the technology and the human translators are by no means at risk of being replaced by machines. As Google Brain Team engineers Quoc V. Le and Mike Schuster point out, “Machine translation is by no means solved” with Neural MT. Roland Meertens of Infor spoke at a GALA 2017 webinar about one major drawback NMT has compared to SMT and even Rule-Based MT — it doesn’t handle rare words very well and in the current state can’t make good use of glossaries. Original (in German): Der Rechnungsführer sorgt für die gebotenen technischen Vorkehrungen zur wirksamen Anwendung des FWS und für dessen Überwachung. Reference human translation: The accounting officer shall ensure appropriate technical arrangements for an effective functioning of the EWS and its monitoring. Globalese NMT: The accounting officer shall ensure the necessary technical arrangements for the effective use of the EWS and for its monitoring. False fluency NMT tends to demonstrate in some cases is the issue that can lead even a seasoned post-editor astray. 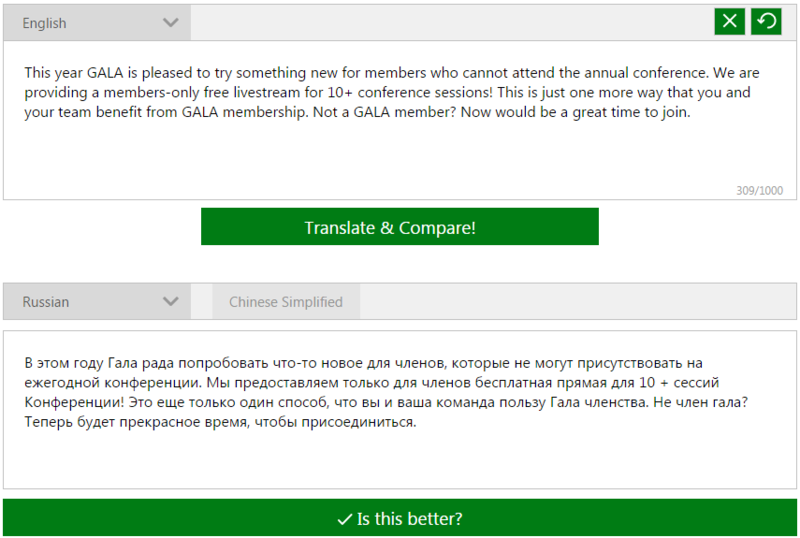 This is why anyone who begins to work with the technology should take time to update their knowledge on how the neural machine translation works and find out what pitfalls to expect. As Chris Wendt, Microsoft Research Machine Translation's Principal Group Program Manager, commented on this issue, when neural and statistical machine translation are compared head-to-head, “statistical would win on accuracy and neural wins on fluency.” So keep in mind that for different languages the result may not be the same and sometimes the neural brain can play tricks, especially with names, titles and places. NMT still has a long way to go but it’s surely going to be a fun journey. Despite all the talks about technology eventually putting translators out of a job, those more insightful say the emergence of a smart AI partner promises higher levels of quality in the face of ever-increasing quantities of content to be translated. A recent post on Slator’s Facebook page proved that the industry recognizes the potential. This is exactly the idea the SmartCAT team has in mind as we work to make powerful tools available to our users. Both Google and Microsoft NMT engines can be used right in the editor and alongside the SMT options. Using both systems in your projects is easy: Navigate to the Resources tab in the selected project, select Paid service in the Machine Translation section, click on the gear icon and switch on the engines you want to use for the project. Keep in mind that not all language pairs are currently supported, however the developers claim they’re working hard to add more soon. The Microsoft NMT is available for free, as usual, if you are willing to send your translations to Microsoft for bettering their engine. If not, using both Google’s and Microsoft’s engines costs the same as for their non-NMT counterparts. This article originally appeared in the SmartCAT blog section.